December 6, 2004 — A standing-room only audience was in attendance at the 2005 Los Angeles Auto Show to witness the unveiling of the new S7 Twin Turbo. 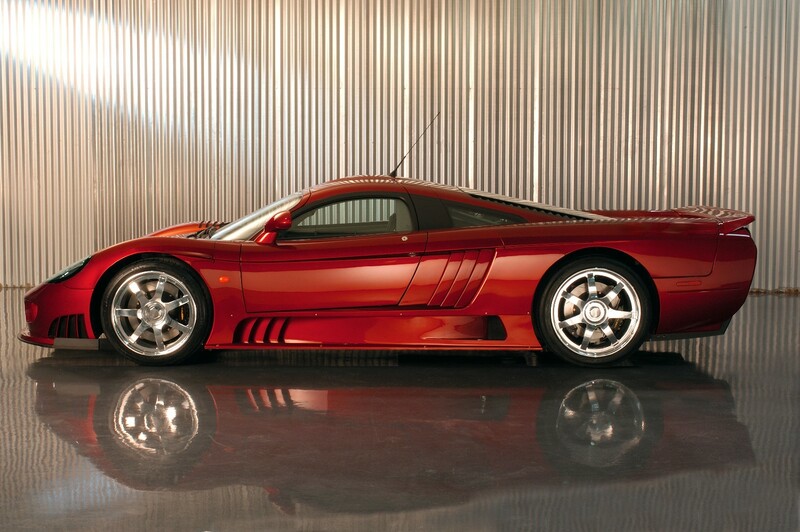 Looking fast yet standing still, the LizStick-red S7 Twin Turbo sported a new 750 horspower V8 producing 700 lb-ft of torque. 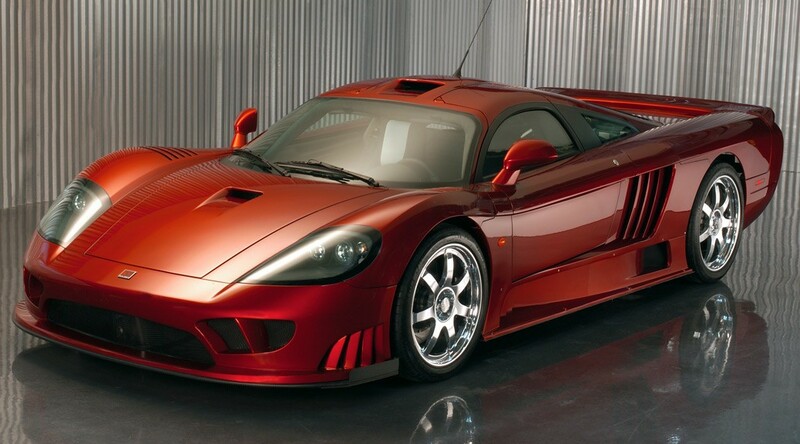 Numerous engineering changes were required to incorporate the addition of the twin-ball-bearing and water-cooled Saleen-Garrett turbochargers featuring whopping 44-mm wastegates and providing 5.5 psi of boost. Dual electric fuel pumps now feed the array of high-capacity, return-less, 52-lb/hr fuel injectors. 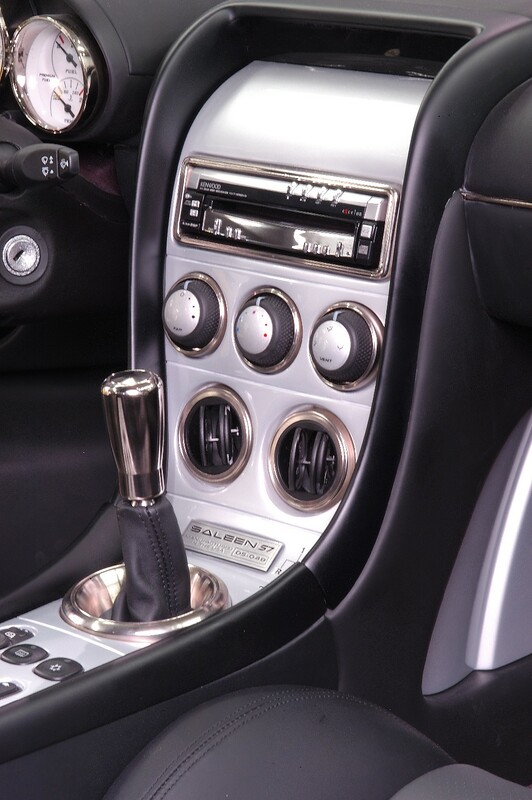 A re-calibrated Saleen PowerFlash computer handles engine management. Putting power to the ground is a new six-speed transaxle mated to larger Michelin Pilot Sport PS2 tires, 275/35R19s up front and 335/30R20s in the rear, adding nearly 1.5 inches to the footprint. Revised suspension geometry and new dual-stage coil springs help provide a softer ride during normal street driving. 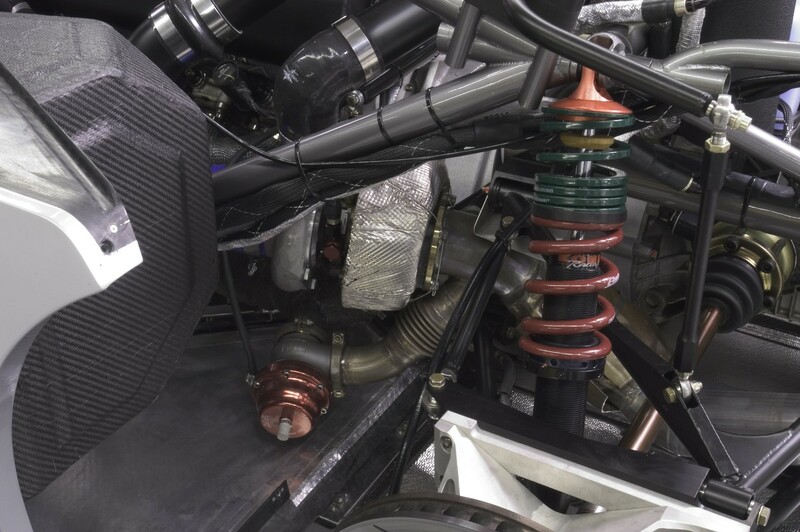 At speeds of around 100 mph, the second stiffer springs, affected by high-speed downforce, help provide improved handling characteristics when a softer ride is no longer desired. To attain higher speeds and improve stability, revised front and rear diffusers provide a 40 percent reduction in areo drag and a 60 percent increase in down force. 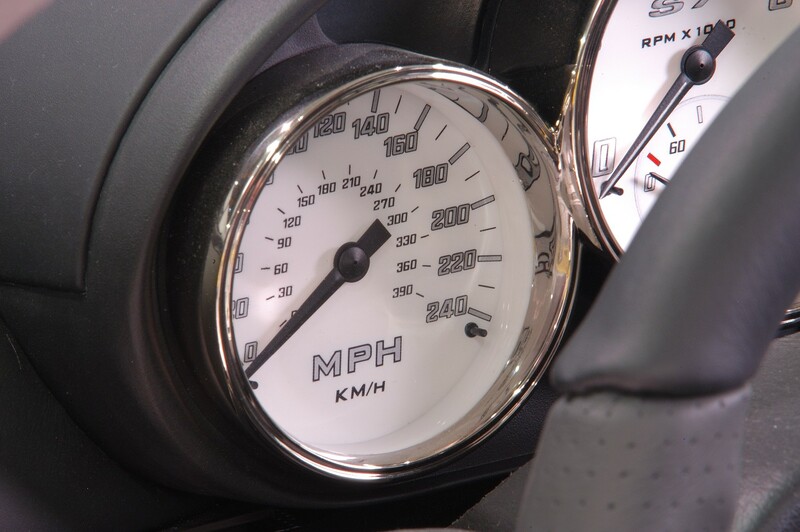 While high-speed performance testing has yet to be finalized, the estimated top speed is an impressive 240 mph. 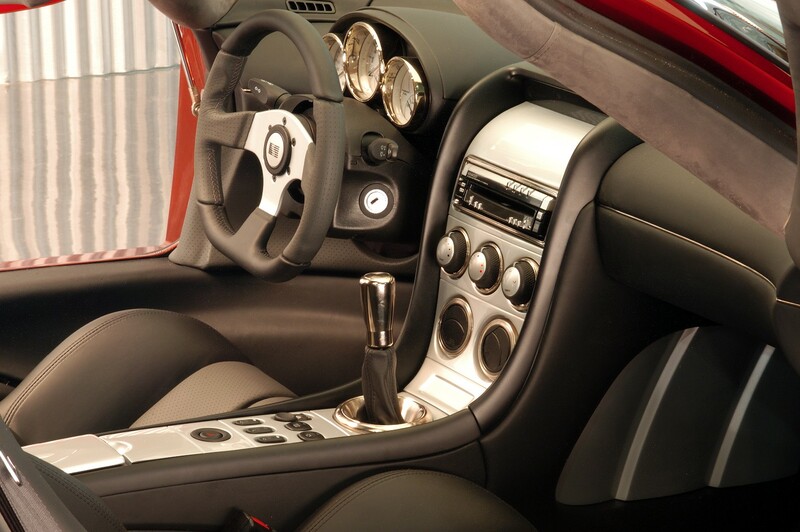 The 2005 S7 Twin Turbo — America’s premiere supercar — has an MSRP of $555,000. Compared to its competition (which will have a hard time keeping-up) it’s a bargain. 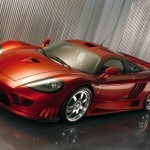 The LA Auto Show is open to the public from January 7-16, 2005 at the Los Angeles Convention Center. Also on display at the Saleen booth is the 2005 S281 Supercharged Mustang and the N20 Focus. Mustang fans will also see the new Mustang convertible at the Ford booth. 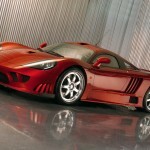 More information about the show is available at: http://www.laautoshow.com. 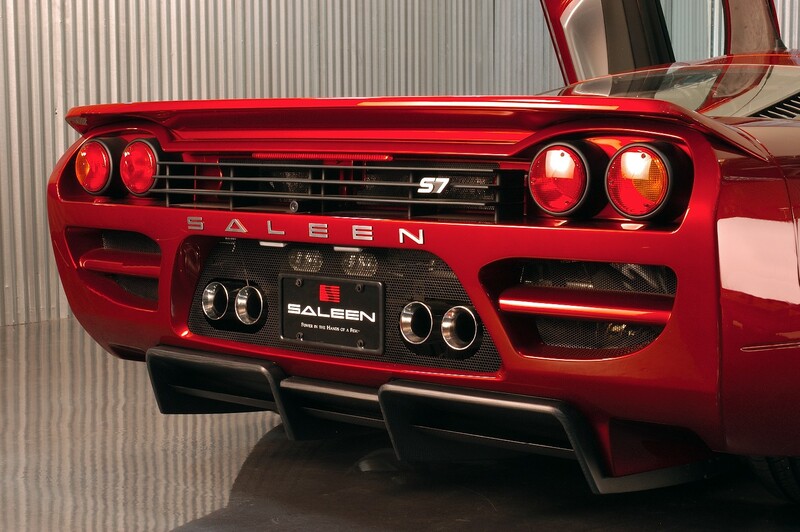 This was a great event for the Saleen Owners and Enthusiasts Club. We had a bunch of SOEC club members stopping by to have the chance to get Steve’s autograph and also check out the cars. 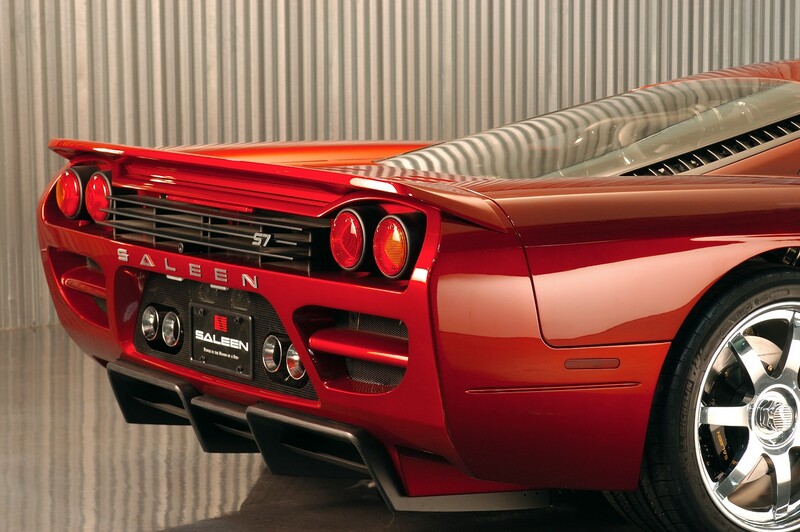 There were two lucky winners of the Saleen Book that were signed by Steve to the winners. Steve had taken a red eye flight Sat Morning just to come out for a few hours. We, the SOEC greatly appreciate Steve taking time out of his busy schedule just to spend a few hours with us just to turn around and fly back home. We look forward in seeing everyone that makes it out to the SOEC Driving Event as well as the Saleen & SOEC Car Show in two weeks. Just wanted to let everyone know that Steve Saleen will be signing at the following locations in North Carolina this weekend. Please contact the dealers directly for any additional info. Steve will also be at the Bellevue show either Saturday night or on Sunday. Everyone is invited to the the Saleen Inc. 20th Anniversary Party with the Pink Flamingos sponsored by Saleen Inc and the Saleen Owners and Enthusiasts Club. It will be held on Friday April 16th during the 40th Anniversary Mustang Show in Nashville, TN. 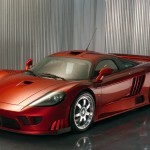 Once I have the details about the 40th show and the Saleen 20th Anniversary Party, I will post the information. We look forward in seeing everyone at the Party! Details coming this weekend for this years show. 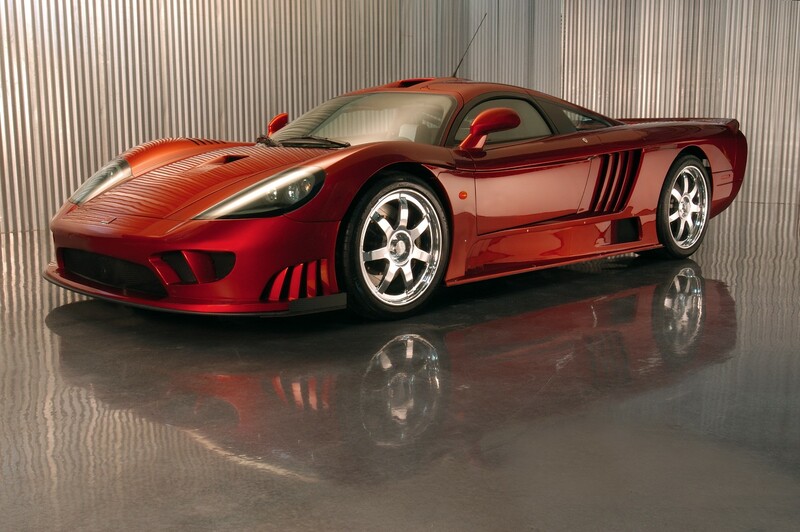 Please look at the link to the left “Annual Saleen Show” for additional information. If you have any ideas for things to do during the weekend, please email me at wayne@saleenclub.net All of us from SOEC look forward in seeing you all their this year. 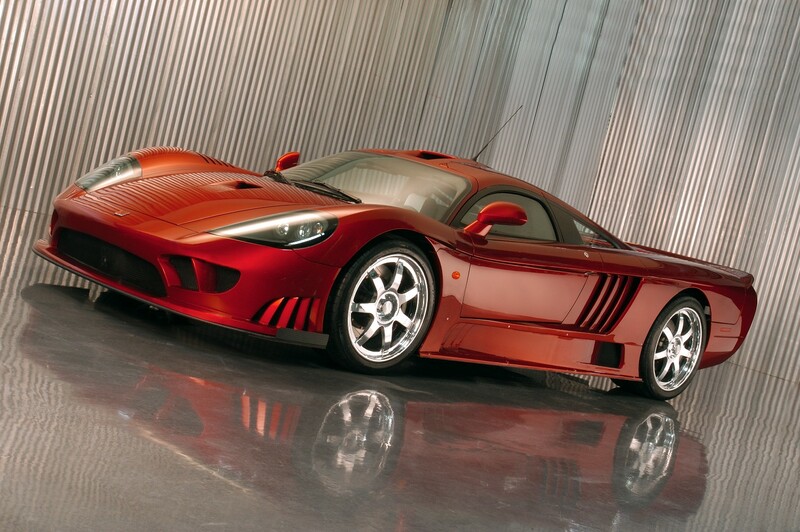 Just wanted to let everyone know that Steve Saleen will be in Charlotte NC this Friday May 16 for an autograph session at Dale Jarrett Ford at 88 Dale Jarret BLvd , Monroe, NC from 5:00p to 7:00p. Anyone in the area, come by and join us. Just wanted to say Thanks to everyone that came to the Pigeon Forge, TN Show. 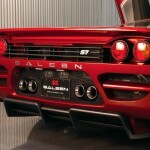 It was a big success with just under 30 Saleens at the show. Steve and Liz were at the show on Saturday and Sunday with Go-Cart-Racing on Saturday night. There will be a new page titled Past Shows which will have pictures from this show and future shows. We should also have a few movies from the Go-Cart-Racing. For all of you that were unable to make it you missed a great show and we hope to see you at the next one. This is to remind folks of the show in Pigeon Forge the first weekend in May. At this time, plans are for Steve and Liz to come to Asheville North Carolina on Wednesday, April 30, 2003. We will have dinner at East Village Grill on Tunnel Road, across from the VA Hospital Wednesday evening. We will meet back at East Village Grill on Thursday morning, May 1st at 9:00 am to drive across the Blue Ridge Parkway, through the Tail of the Dragon to Pigeon Forge, stopping along the way for lunch. This should be an exciting drive as there are 318 turns in 11 miles on the Tail of the Dragon. Check out the website at www.tailofthedragon.com for more information. We are planning to organize a run for Friday for those who cannot make the Thursday event. We will start from Pigeon Forge as it is only a 35 mile drive. More details about this event will follow. If you need hotel reservations for Pigeon Forge, please contact me at 828 667-0232 or Debbie at 828 299-8602 or Wayne Mertz at 330 519-5221 for rooms as we have rooms reserved in our names. We will need to know something by Wednesday April 23 or we cannot hold a room for you. For SOEC members and their guests, How would you like to be nose to nose in Turn 4 going for the checkered flag racing against Steve Saleen, Mustang Enthusiasts, MCA members and other adrenaline addicts at the local Go-Kart Track. Friday night is the Hospitality Social from 6:00p-8:00pm at the Host Hotel, The Country Inn and Suites. Go-Kart Race Qualifying runs will follow with the Championship Race on Saturday night. Saturday night is the Family Dinner Show at the Black Bear Theater (contact MCA for reservations) For those who will not attend this function, there will be an SOEC Dinner at the NASCAR CAFE followed by more Go-Kart Racing. Hope to see you in Asheville on April 30. SCOTTSDALE, Ariz., Jan. 22 /PRNewswire/ — There was little evidence of a recession in Scottsdale, Arizona, this past weekend as a record number of car collectors and enthusiasts from around the globe descended upon the Barrett-Jackson Classic Car Auction, presented by Dodge-Chrysler-Jeep. 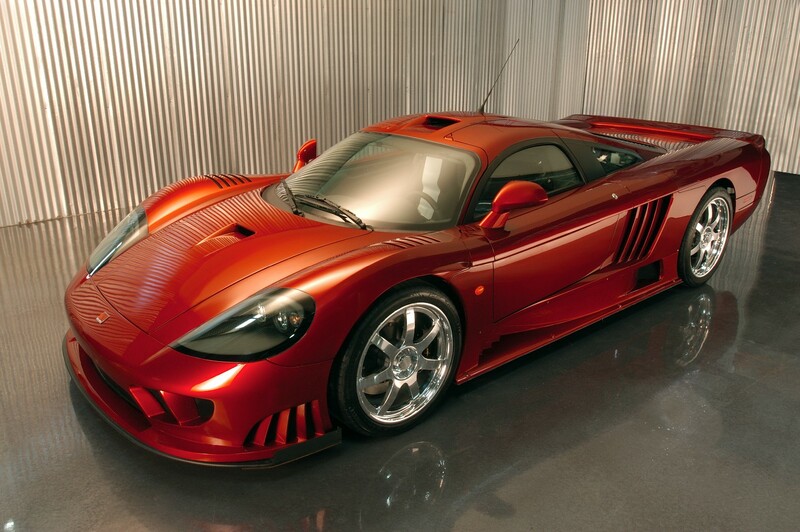 According to Barrett-Jackson President Craig Jackson, this year’s sale clearly demonstrated it was a seller’s market. “Our bidders showed us they are prepared to pay top, and in some cases world record prices, for the very best quality cars,” said Jackson. Throughout the four-day auction, capacity crowds watched as prices paid on the auction podium skyrocketed and bidders dueled it out over an unparalleled selection of collector cars. 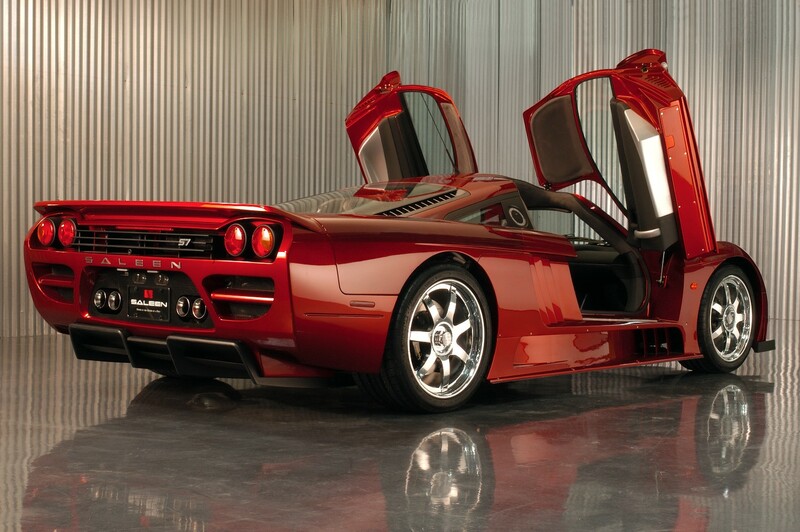 “This year’s auction saw top prices paid in nearly all categories of cars,” commented Jackson. “We continued to realize unprecedented prices for high quality hot-rods, and also exceeded a number of previously established world record prices for certain other car models,” continued Jackson. Record prices were achieved for a 1956 Ford Thunderbird at $109,080; a 1970 Chevrolet Chevelle LS-6 convertible at $172,800; a 1965 Chevrolet Corvette L-78 Roadster at $124,200; and a 1958 Chevrolet Impala Convertible at $86,400. An award-winning 1932 Ford Hi-Boy Roadster known as “Black Jack” topped the extensive list of significant hot rod sales with an unmatched price of $172,800. Of the nearly 800 cars, and an extensive collection of racing memorabilia consigned to the auction, an impressive 86% of the lots were sold, pushing total sales volume to an unprecedented $26.9 million. The results exceeded last year’s record-breaking auction. Legends from the motor racing world including Bobby Unser, Danny Sullivan and Parnelli Jones, together with Arizona Diamondback’s Cy Young Award winner Randy Johnson, joined television stars Tim Allen and Mark Harmon at Barrett-Jackson as record prices were achieved on the auction block. Baseball Hall of Fame’s Reggie Jackson, together with Cecil “Big Daddy” Fielder were both on the auction platform when avid collectors snatched up each of their rare Chevrolet Camaros. The $48,600 paid for Fielder’s 1969 Camaro COPO was eclipsed by “Mr. October’s” 1967 Camaro COPO that commanded $78,840. A record price was also paid for another example of the soon-to-be-discontinued Camaro, when a collector paid $118,800 for a 1967 Chevrolet Camaro SS Yenko. 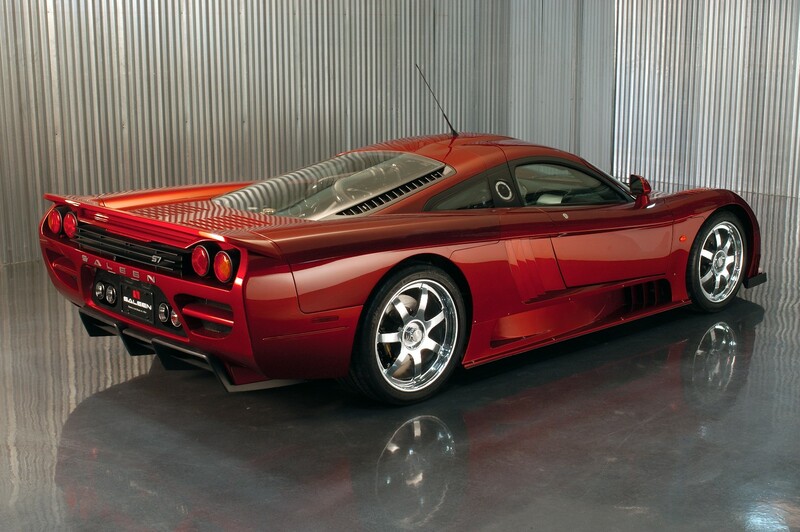 The top price paid on the auction block went to the 2000 Saleen S7 Factory Prototype at $432,000, followed by a 1966 Ford GT40 used in the MGM movie “Grand Prix,” at $405,000. All one hundred and fifty lots from the Race Rock Las Vegas restaurant, a one-of-a-kind automotive collection of race cars and rare racing memorabilia from every form of motorsport, brought over $520,000. A one-of-a-kind Dodge “American Spirit” Viper Roadster was auctioned at No Reserve for $80,000 with all net proceeds going to benefit the DaimlerChrysler Help the Children Fund. This fund was established to help the children of victims from the events of September 11th. 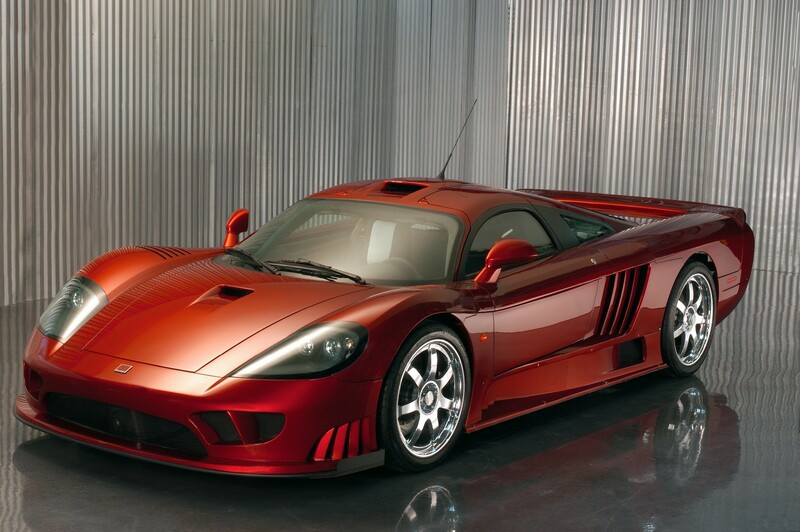 The Barrett-Jackson auction is an automotive lifestyle event that continues to be one of the most influential worldwide drawing Hollywood celebrities, sports stars, legendary race car drivers, and serious collectors. 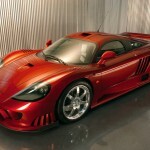 The auction was also televised live for two days on the Speedvision / Speed Channel television network. Each year the Barrett-Jackson Auction reaffirms its leadership position in the collector car market by elevating consignment standards, breaking annual records, and serving as the barometer for market trends. 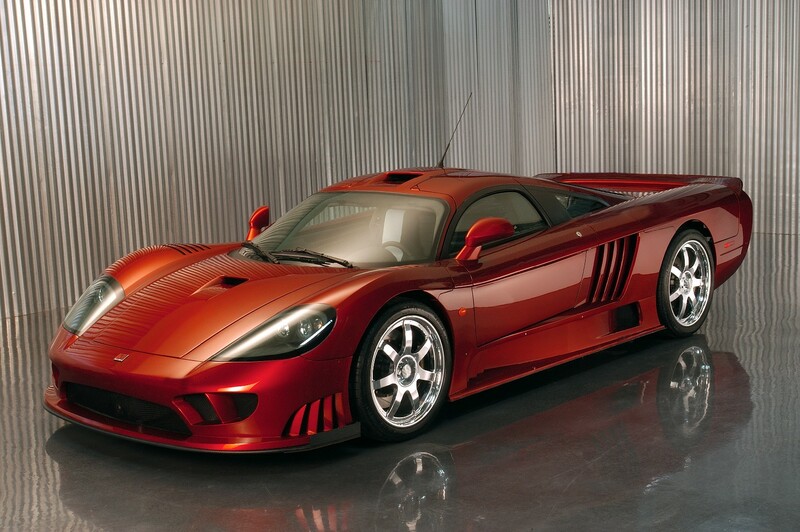 A listing of the sales prices can be found at http://www.barrett-jackson.com/auctionresults/byevent.asp and images of the cars sold at the Scottsdale auction can be found on the Barrett-Jackson website at www.barrett-jackson.com . 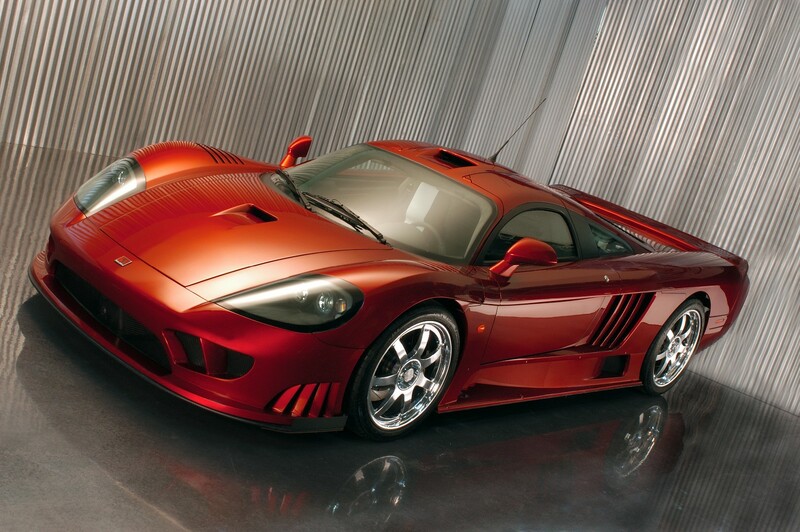 The 32nd Annual Barrett-Jackson Classic Car Auction is scheduled for January 15th – 19th, 2003. For further information, please contact: Timothy McGrane of Barrett-Jackson Auction Company, +1-480-421-6694, ext. 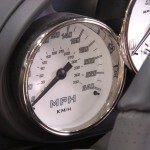 118, emedia@barrett-jackson.com.